I want to start out by saying that I just simply can’t put this woman into words…I have truly never met anyone else like her…but I will attempt to capture a bit of who she is and share her with you. Emily and I lived together in Thailand…we shared a great little apartment high up above the city with an amazing view that almost made you forget you were in the middle of a red light district…those years we lived together had an incalculable impact on my life. I learned so much from her, I grew so much through her, and I found so much laughter in our friendship. For the three months I lived in that room I would find myself staring at that sign, just meditating on those words, remembering why I’d moved across the world, what it truly was that the Lord wanted from me in Thailand…do justly, love mercy, and walk humbly…That truth got me through a lot those first couple of months…they were HARD! She had been home in England for a few months, and I discovered I had been living in her room, and the sign that brought me such encouragement was her handy work. Within a few hours of meeting we were looking for our own apartment and a few days later we moved into our sanctuary in the sky. We had so much fun in that apartment, there are so many stories from those years…sometimes my son will ask me to tell him an Emily story, his favorite being the time she brought home bunnies in dresses from the market…we found lots of entertainment in our differences as an American and Englishwoman, escape in “24” marathons…why don’t they ever believe Jack!?! And adventure in just wandering the massive city together. We just went out to get supplies for milkshakes!!! But, the most incredible thing I have taken away from my time with this woman is watching her live out Micah 6:8. Seeing her selflessness when woken in the middle of the night by a drunk and hysterical woman ringing our bell…I was irritated by being woken and inconvenienced but not Em, she just cared about this woman…watching her stop and take the time to talk with broken and hurting people as she encounters them. Once, she passed a woman on the street who was obviously not Thai, homeless, covered in dirt, and smelled of poo, so she brought her to our place, cleaned her up…also one of my boy’s favorite stories because there was quite a bit of hilariousness that ensued…and then worked to get her back to her home country. Today, I live in a home where things change constantly, where more people live with me than share my name, where people come to visit and stay for weeks and months, and where everyone is welcome. The Lord used this incredible woman to open my heart to this…to prepare me for setting aside my comforts and expectations and instead having a deep desire to love others with every part of my life. I have never known anyone else even close to like her. Who so fiercely loves justice, who seeks it out on behalf of others. Who seems to walk around surrounded by a cloud of mercy. And who desires to live simply, humbly, and innocent of evil…I don’t know how she manages to spend so much of her life surrounded by evil and yet remain so beautifully innocent, but she does, it’s a beautiful gift God has given her! Trying to design a piece of jewelry that captures all of this was difficult! I knew I wanted to use red because she had these great red jeans that were so cool…this was way before colored jeans were even a thing… and I knew I wanted them to capture the intensity, the fierceness of who she is…because she is FIERCE! But I also wanted them to be fun, and to sparkle a bit…because that’s who she is, this fierce, sparkly, fun woman! So I went with deep, rich colors, labradorite which has a bit of flash to it, and a unique wire wrapped look. They don’t do her justice…but I think they’re pretty cool. It’s been six years since we’ve lived together…since we’ve lived on the same continent…I moved back to Colorado, she moved back to England. I have been so blessed to go to England twice in the last couple of years, so I’ve gotten to see her and spend some time with her. She’s doing amazing things there as she continues to live a just, merciful, and humble life…Check out Ella’s Home or message me if you want to find out more about what she’s currently doing in England to live out justice and mercy in the lives of women in England…and pray for her, for the women she works with, and pray about supporting this work. Sometimes I sit back and think…I can’t believe I know this woman, I can’t believe she’s my friend…I am so grateful for her in my life, for who she encourages me to be, who she inspires me to be…When I look at her life, when I see who she is all I can think is…if anything is going to change the world it’s going to be people like her who love the Lord and live out His love! I am not in the habit of walking up to people asking them “hi, will you be my friend”…at least not since I was in 2nd grade…but with Lindsy that’s exactly what I did…well, not exactly, I really made a case for why we needed to be friends…we had been hanging out with the same group of friends for a while and I really enjoyed her, but she travelled a lot which made really becoming more than just acquaintances difficult. So, one Saturday afternoon at a women’s retreat me and two other of my incredible friends practically stalked her until we were able to talk with her. When we finally got some time with her we made our case for why she needed girl friends…and why we were exactly those girls…instead of backing away slowly and issuing a restraining order, she delightfully agreed with us…and we’ve been friends ever since! 10 years later, I never see her often enough or for long enough but it is such a treat when I get to spend time with her…we are still very much bosom buddies. There are so many things I enjoy about her, so many things that make her a great friend. She is so kind and genuine, her faith and her heart are so pure, and she is wonderfully silly…we’ve definitely stayed up all night giggling like teenagers well into our 20s, and we once toilet papered a friend’s house when we were WAY too old to do something like that. In my early years of walking with the Lord Lindsy showed me how to love others, how to engage everyone with graciousness and love. I don’t know if Lindsy has any idea how much I admire her, how much I look up to her, how much she inspires me. I have observed how she treats people over the years and I have watched how they are drawn to her…like flies to honey. Once she gave our waiter in the restaurant her personal bible with all her notes, because he had shared with us some struggles and expressed a desire to read the Bible and to know God…so she just handed it to him. I don’t know if she knows how much of an impact that had on me. But the thing that has kept our friendship strong and grown her into one of my closest and most trusted friends over the years is how likeminded we are. There are a lot of people on this earth, a lot of people I love and enjoy, a lot of people I call friends, some who just come into my life for a season, but very VERY few who I have found myself so likeminded with. I have always been able to be open with her…to share my heart…she has always listened, encouraged, comforted, and exhorted me. She has been present during some of the most amazing, and the most difficult times in my life, we started our friendships as single ladies…I got engaged days before her wedding, she was a bridesmaid in mine…and now we are moms…we have grown and changed so much, along side each other. The icing on top is that we married men who were friends…yay!!! Basically…I love this lady! She is kindness, beauty, joy, strength, comfort, a bit of sparkle, and a whole lot of grace all bundled up into one lovely package. I don’t know if I could ever truly capture who she is in a piece of jewelry, but I gave it a shot. I used amazonite, because it is one of my favorite stones. It has this very natural and calming feel to it, and the color is neutral but not boring. The quartz gives it sparkle…gotta love some sparkle. There is something comfortable yet so special about this necklace. It makes me happy to wear it, it brings me comfort, and it makes me feel beautiful. Being around Lindsy does the same thing…it makes me feel so comfortable, and loved, and beautiful…I admire her so much, and just being in her presence reminds me how loved I am by God…what an incredible…and inspiring…friend she is to have. I’m glad I was brave/silly/foolish enough to ask her to be my friend all those years ago. Oh my! I just did a count and I really have only written about half of my designs and the women that inspired them…that includes the final pieces I will be introducing the next couple of weeks…I better get busy! She’s a very unexpected friend…we became friends during a season of my life that I was not really sure I wanted any new friends and I’m not even really sure how it happened…but one day all the sudden there it was, we were friends…I knew we were friends the afternoon that we were hanging out watching TV and I totally fell asleep and when I woke up she was still there and didn’t make me feel weird about it at all. She’s gentle and kind. She reminds me of a deer frolicking around in a meadow of flowers…carefree and joyful…she makes living life look fun. She’s always quick to laugh and her eyes kind of sparkle with joy…and maybe a bit of mischief. She’s also so incredibly cool! Her and her husband Ernest are kind of like rock stars in my mind…seriously though you should see these two pose for pictures, they would own any red carpet. I have had the pleasure of watching her and Ernest walk the journey of starting their own coffee shop right here in Aurora. I’ve heard them talk and dream, I’ve seen it transition from dreams to saving and planning, and now I get to watch it as it unfolds before our eyes as Sonder Coffee becomes a reality and will be open very soon…check out what is happening at Dream A Latte and make sure to sign up for emails so you’ll know when they open…I am incredibly excited and can’t wait until it’s finally open! There are several different stones and colors and textures in this necklace, there is something delicate and soft, but also very structured about it. Oh yeah, and I love wearing it! Julia is complex but yet simple, so cool but so genuine and real, so much of a dreamer and yet also a planner…However it happened, I’m glad we are friends! If you want a Julia of your very own click here! I know I’ve said this before, I think I say it every time…but this one was hard to write! 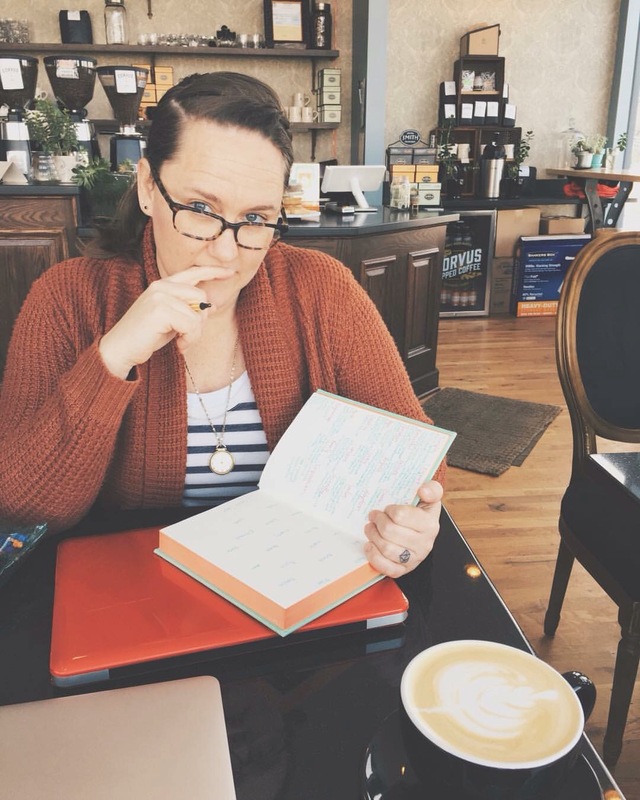 In fact, I intentionally am writing and posting it today because she will be on an airplane for hours and then she will be jet lagged and overwhelmed by life back in America, so it will take her a bit of time to see it…at least that’s my hope. It’s not because I’m going to say bad things about her…that would just be a horrible way to write a dedication page…it’s because she’s my mom, and I come from a family that doesn’t really gush feelings and emotions…I always have but it’s just one of my many black sheep qualities…so to publicly gush about how inspiring I find my momma is going to embarrass her and probably make her uncomfortable…but I just gotta do it! Like I said, Sharon is my mom. And, I would love to tell you amazing stories about how my mom and I have always been best friends and I was that sweet adorable child that cried when I missed her and ran laughing into her arms when she picked me up from school…but that just simply wasn’t the case. From all the stories I’ve heard I was AWFUL. I screamed and ran away when she picked me up from school. I wasn’t kind or loving to my parents. I was strong willed and a destructive force…misguided creativity I think. Crayons, scissors, markers…all banned from my possession…sometimes I wonder if either of my brothers had delayed fine motor skills because I’m not sure they were ever in contact with scissors or writing devices until they went to school because their big sister couldn’t be trusted with them. My adolescent and teen years were less destructive to the home and possessions, but I continued to be a bit of a handful…strong, independent, insecure, and hormonal make for a rough puberty. But we made it, we’ve come out the other side, and hopefully we are all better for it. Now, my mom is one of my closest friends. She is the woman I turn to when I need really wise advice, when I’m overwhelmed by being a wife and mother, or when I just want to talk. She lives far away most of the time, but when she’s in town I just like spending time with her…I miss her when she’s not here. My mom is this amazing calming presence…which is probably why I like being around her, because I kind of have an internal storm of worry and anxiety swirling around inside me…I use to think that she just had this affect on me, until her ENTIRE house flooded and had to be completely remodeled. Most people would freak out if their daughter called and woke them up in the middle of the night to inform them their house on the other side of the world had been turned into a giant water feature at the end of the cul-de-sac. But, she didn’t, and through the whole process I kept hearing people say things like “at least it happened to Sharon, anyone else would be freaking out.” She just took it all in stride…and now she has a gorgeous newly remodeled house. So, It turns out, my mom is just really calm…which makes sense because I think most people would have either had a mental breakdown or given me away if I had been their child if all the stories are true. My mom also is kind and funny and giving, so incredibly giving. She has spent her life serving others…her husband and kids of course…but she has also spent years involved with orphanages or homeless kids or homes for the elderly or kids with disabilities…whatever the biggest need was in whatever place we found ourselves. She found the best way to serve the people with the biggest needs and then she did it! She shaped my perception of the world, and her kindness, humility, and desire to take the privileges she had and serve others with them changed me from a bratty and entitled teen to the woman I am today. She is the one who brought me to that orphanage all those years ago, who took me into slums and showed me poverty, and she’s the one who opened my eyes to poverty in my own town. She also taught me to channel my destructive forces into creative ventures. She taught me to sew, cook, bake, quilt, cross-stitch, crochet, and bought me my first camera. She has always encouraged my creativity…she may not have always understood it, but she encouraged it…again shaping me into the woman I am today. Oh, and my mom has this great laugh! When she really gets going it’s like she’s all rosy cheeks and nose and she laughs so hard she can’t really talk she just squeaks and she cries a little bit…it’s just the best! This bracelet is for my mom, because she loves jewelry and she always has great bracelets. She loves blue, and calcite is the perfect blue for her, soft and gentle with just a bit of shine. I am forever grateful for my mom. We are so very different, and I quite often feel like she just doesn’t understand me…but she has always loved and supported me no matter what crazy idea I have, from moving across the world to adopting a teenager to starting Frippery House. Thanks mom! Frippery House launched this morning!!! I’m pretty excited and nervous and I didn’t sleep AT ALL last night…but today is going pretty good. And, in honor of this incredible day I wanted to post a very special dedication page about a most wonderful woman…Ernie! Ernie is more than a friend…and not because we’re so close we are like family…we are actually family…I married Ernie’s cousin, and now our lives are forever intertwined. When Ian and I were engaged Ernie use to joke about how Ian was getting the better end of the deal, but I disagree…because I think my husband is wonderful and I love being married to him…but also because I married into an incredible family…honestly, I have amazing in-laws, and not just mom and dad but brothers, sisters, aunties, uncles, cousins, and nephews. We have a lot in common Ernie and I…photography, making things, garage sales, and missions…and I just LOVE spending time with her…it doesn’t matter if garage sale shopping, hanging at a family function, chilling in my living room…it’s all wonderful. And because we are stuck with each other FOREVER there’s a safety in sharing our hearts I think…we can share with one another promises the Lord has whispered to us and trust the other to pray and not blab or judge. Case in point, she and her hubby Brandon prayed along side of us with faith and expectation to see God bring into our lives the child He had promised…she never told me I was crazy, or tried to get me to see how hard it was going to be, she never told me that I should really just try harder to get pregnant…She faithfully prayed for me and with me to see what God would do. And, she has celebrated, encouraged, and exhorted me as I have learned to mother that child that was the fulfillment of the promise. Recently…well, not really recently, but it’s still happening now so we will go with that…I have had the pleasure of watching her and praying for her as she has felt called by the Lord to move to Ireland…at first we were praying for direction and for the Lord to reveal the same thing to Branden…God answered that prayer…and now we pray for provision and for peace as they and the boys prepare leave in just a few weeks…I seriously just broke into sobs as I typed that…maybe I need to pray for myself a bit too…. Fairly early on in our friendship I noticed that Ernie always wears this one necklace with a little spoon on it…it has some other things too, a little charm that says “Abide” and maybe a cross I think…and the spoon always catches my attention. So one day I asked her, why a spoon? I love that! I want to be a spoon! When I started designing for this line I knew I just had to make a spoon necklace, but with my very own twist on it. I found the perfect spoon and added white pearls and a green…for Ireland of course…mountain “jade” bead to complete the look. It’s a long necklace, because I just LOVE the ease of necklaces that slide over my head. And, I know it’s just me talking here, but I really think it’s pretty great. An added bonus is that purchasing this necklace supports Ernie’s family as they love and serve the people of Ireland…I give them $15 for every necklace I sell…to purchase the Ernie click the link. And make sure to check out Ernie’s blog The Treus Go To Ireland, her kiddos even have a “Boys on Mission” link where they share their journey as young missionaries. Thanks again for reading, and make sure to like, follow, share, and to go to Frippery House to check out my first line of jewelry. As promised I’m flooding you with dedication pages this week in the build up to Tuesday’s launch….TUESDAY…oh man that’s soon! I am so excited!!! This dedication page is about the one and only Claudia. You may not know her, she kind of tends to fly under the radar, but if you live Aurora you’ve probably noticed her before because she is just absolutely adorable! I actually formed a friendship with her through Tiffani’s bible study. There were a lot of girls that came and went… they would make it one week but not the next…but week after week Claudia and I were both there. So, we grew close…all three of us did…and suddenly I discovered that this girl who was SO much younger than me…funny how a couple of years stops to matter once you get older…was my best friend. We spent so much time together! We lived close to each other, so she’d come pick me up and I don’t even really remember what we would go do…I know we hung out with other people…I think…but what I really remember is all those car rides with her. All the conversations about what God was doing in our lives…and in our hearts…we were young and unattached and new in our walk with Christ and this period of time was so full of growth and dependance of Christ. I like to think that Claudia was there when I grew roots. When Ian started to hang out with us, the three of us became super close…we use to joke that she would be my maid of honor and Ian’s best man…then when I started having feelings for Ian she got to hear all about my struggles…I was leaving for Thailand and didn’t want to like him…. About the same time is when AJ…her now husband…started hanging out too, and she also found herself wrestling with feelings. We stayed friends over the years, spending as much time together as we could whenever I was in Colorado. When Ian and I got married she stood right next to me…and when she married AJ I got to stand by her. We still live close, but don’t see each other anywhere near as much as we use to, or as much as I would like…real jobs, husbands, and a child have seriously cut into our chill time…but whenever we do it’s just so easy, so comfortable, and so calming. Because it doesn’t matter how much time passes with Claudia…our friendship was never about being in each other’s daily drama…the girl is SO chill! Seriously, she is so mellow and just easy to be around. I don’t feel like I have to entertain her, or do exciting things with her, we can just sit on the couch or in the car and listen to music, or just sit and not talk and rest in the silence…we have done exciting things, and we both like doing exciting things, but it’s nice to have a friendship that isn’t based in anything other than just that we love each other and we love Christ. Oh, and remember how you’ve probably noticed her because she is adorable to the millionth degree…well, I’m serious. The girl is cool and majorly stylish…looks like she just walked out of an Anthropologie catalogue…she always looks adorable and put together and classy…but in an effortless kind of way. I wanted this necklace to reflect that…simple yet unique, classic but also kind of edgy, neutral but eye catching…I wanted this piece to be something she would wear, something she would turn to time and time again because it just puts that finishing touch on whatever incredible dress she just so happens to chose that day. As I gear up for the big launch…which is in a WEEK…I am going to up my blogging game. My goal is to have at least 3 more of my dedication pages written and posted for you guys…this way you get a sneak peak at the jewelry AND you get to hear the story behind the pieces. This bracelet reminds me of bubble gum…it’s happy and fun and there’s something soft about it…and at the same time it reminds me of boulders…strong with smooth sides changed but not destroyed by weather…It’s inspired by one of my dearest friends…Tiffani! You know how in old cartoons sometimes a little tiny devil and angel would pop up on the shoulders of someone…well Tiffani is kind of like my little shoulder angel. We’ve been friends for a long time…possibly the longest I’ve had a friend…we’ve laughed, cried, moved away from each other, moved back to each other, traveled the world together, she even stood by my side at my wedding…in a beautiful purple dress….And when things get hard in my life, or I find myself lacking joy it’s like she pops up on my shoulder and starts giving me a pep talk, encouraging me to remember Who God is, His promises, His love…and to find joy in those things. Tiff and I first became friends when she started hosting a bible study at her house, I was new in my walk with the Lord and super excited to be a part of a group of young women who wanted to study the Bible…actually I was so excited I came a week early to the first one! I continued the tradition of coming early every week…but I showed up an hour early instead of a week…to make the tea and coffee so that she could clean…which I didn’t really understand because her house was always SO clean…we would spend our time chatting, but secretly I was watching her, studying her. You see, Tiffani is joyful, like really really joyful. If you asked me to describe her in just a few words joyful and bubbly come to mind…also tough, but we will get to that…and sometimes I use to wonder if it was real or not, if she was really that full of joy. Being in her home, seeing her prepare for these young women to come over, watching her interact with them, this joy was always there…it wasn’t an act! She was the same person in her home when it was just the two of us as she was out in the world. Over the years I have continued to watch her. I have seen her walk through trials and great challenges in her life…many of which have not been joyful…yet there was always joy. Sometimes the joy has been a choice…some conversations I’ve had with her have felt a lot like her giving herself a pep talk to rejoice through every situation…and at times it has literally just flowed from her. But it’s always been there! I think that constant presence of joy is what makes her so tough. She is determined to rejoice, to hope, to love people, to worship God with her life and her interactions with others no matter what life throws at her. And it hasn’t always been easy…there’s even been seasons where it feels as if it’s NEVER been easy…but she has always chosen to rejoice. Tiff has influenced me in so many ways, and I see this determination in my own life…the choice to trust and hope and rejoice…and I know that it is something I learned from her, something she modeled for me. I also think she’s a big part of why I have decided to live a transparent life…with people welcomed into our home and our family so freely and being honest about the things we go through in life…because seeing that she was the same person in front of people and behind closed doors made such a huge impact on my life. She doesn’t know that I’m writing this…and she doesn’t even know that I designed a piece of jewelry that is inspired by her. But I did, and it is…because she has made such a huge impact on my life, and even though we don’t get to spend near enough time with each other these days she is still one of the most important people in my life! Hi, I'm Katie Dizon. And this space is where you’ll read about my adventures, my dreams, the stuff of daily life, and the crazy things me and mine step into every day. I am starting my own business, getting our son ready for high school, and preparing our home for when we get to adopt the next kiddos. The Dizon life is definitely never dull!